Can you believe that Halloween is less than a week away? It’s the time of year for celebrating scary movies, spooky decorations and sweet treats. But just because trick-or-treating encourages children to eat candy with artificial flavors, preservatives and refined sugars, doesn’t mean they have to! Instead of feeding your kids poison from the SAD diet, share some of these delicious wholesome treats! Not only are they tasty, but they’re nutritious and simple to make. Reminiscent of the classic candy, this healthy version is just as delicious and it’s guilt-free! Place all ingredients into a food processor, mixing until well-combined. Once the mixture forms into a dough ball, remove from the processor. Use your hands to roll dough into small balls, then flatten to desired thickness. Place in the refrigerator to chill and set, then enjoy! Get your kids in the kitchen to help you create this easy and tasty treat. First, place the cashews in a blender, mixing down into a fine meal. Then, add the coconut and pulse until blended. Add dates, vanilla, lemon juice, zest and sea salt, blending well and stopping often to scrape the sides. Slowly add water to help mixture blend and form together until it reaches the perfect dough-like consistency. Use your hands to roll the dough into 1-inch balls, then toss in the leftover shredded coconut. Place in the refrigerator to set for a few hours, then serve and enjoy! 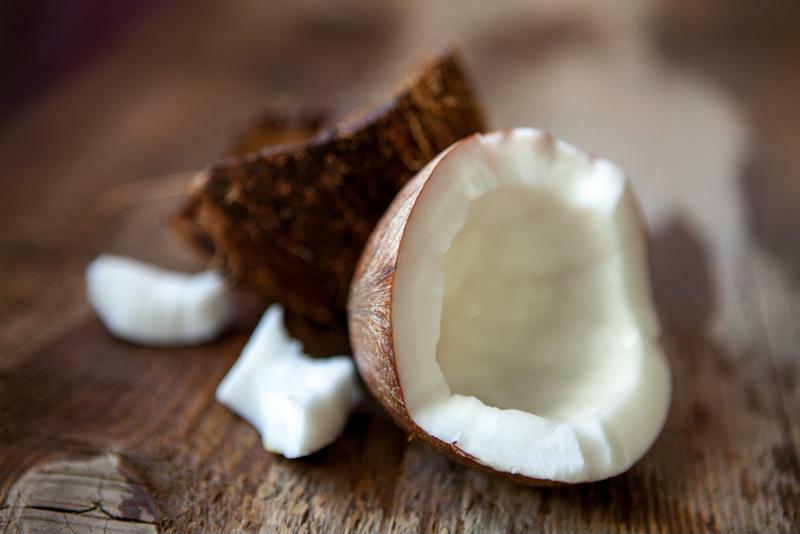 Use fresh shredded coconut to create this tasty treat. Who doesn’t love fudge on Halloween? Make this treat for your kids to take to school. First, prepare an 8-inch square pan with a light coating of coconut oil. Place all ingredients – excluding the nuts – in a food processor, blending well. Slowly add date soaking water until mixture forms into a dough ball. Remove mixture from the food processor. Transfer into a large bowl and fold in the nuts. Press finished mixture into prepared pan, then place in the refrigerator to chill. Cut, serve and enjoy. This is a delicious, simple and tasty treat that takes minutes to create. Your kids will love it! Dip each individual date in water, then dip into the shredded coconut. Continue until all dates are covered. Place on a sheet pan and place in the refrigerator until serving, or package in plastic wrap for your children to take to school. Not only are these candies delicious and healthy, they’re great for an energy boost after lunch time! Place all ingredients – besides the sesame seeds – in a food processor, blending until it reaches a dough-like consistency. Remove dough from processor and roll into 1-inch balls. Roll each dough ball into sesame seeds. Place on a tray and let set in the refrigerator for a few hours. Enjoy! 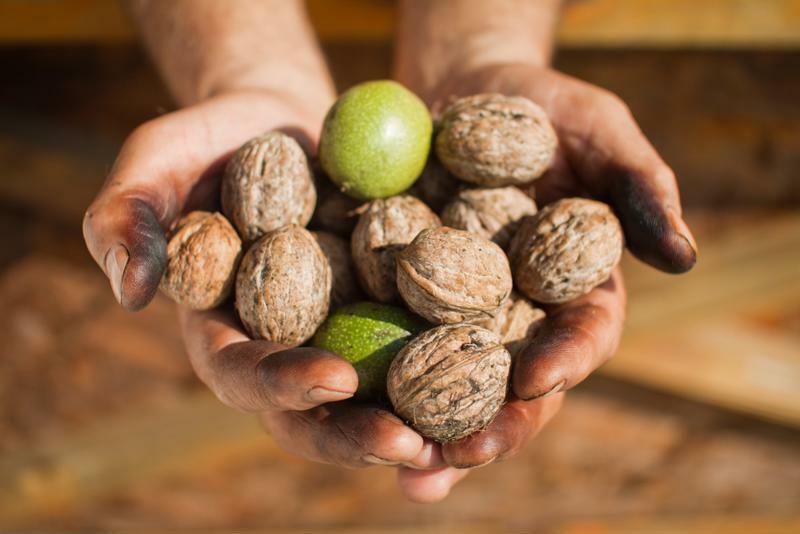 Crack fresh walnuts to create our favorite walnut candy. This recipe makes a flavorful snack your kids will request year-round. Place all ingredients – besides ground flaxseed and coconut flakes in a food processor, blending until it reaches a thick consistency. Transfer mixture to a large bowl, add the flaxseed and mix well. Roll mixture into 1-inch balls, then toss in coconut flakes to coat. Place in the refrigerator to set. We had to sneak a delicious snack for the parents in here – make this treat for yourself once the kids’ treats are finished! Place all ingredients in a food processor, blending until it forms into dough. Remove from processor and roll into 1-inch balls. Chill and enjoy! To learn how to make more of our favorite treats or dinners, smoothies and juices, check out our database of recipes! Some good recipes! Make me want to try making a couple. I like the one with the dates and coconut and the Lemon Coconut Truffles. The recipes look very easy to make. These are some great alternatives to traditional candy. I love the picture of the 3 trick or treaters. Why are you promoting Halloween? You say it is the time of the year for celebrating scary movies, spooky decorations etc’. Actually did you not know how evil it is? How it is setting up our children to believe in evil? Am interested in your reply. The recipes are great. Great recipes for healthier options instead of the usual sweets most children are exposed to that follow the SAD diet. The Walnut Candy and Date Coconut Logs sound great! I have been diagnosed w/ heart disease & have been trying to follow Dr. Esselstyn’s book…on reversing the heart disease. I’ve fallen off the wagon bc of my sugar needs. I can’t afford to do this since they wanted to do surgery almost 2yrs ago. So much blockage & the widow maker. I grew those things that give more blood flow ( forgot what they r called) but I can’t be falling back to eating the wrong things. I have gone crazy w/ fruits but now am buying the choc. bar a few x’s a wk. I’m not to have nuts, dairy, sugars, oils etc. It’s so depressing. I hate to cook if I have to dig up new recipes & find weird products I’ve never used. I’m sure praying for help. I lost soo much weight but am now putting it back on! I’m so discouraged!!!!! Thanks for sharing Carolyn! It can be discouraging when we feel deprived or feel like we keep getting knocked down. Please keep believing in yourself, one day at a time. We all eat bad from time to time. All we can do is admit it, get back up and try again! When I get discouraged, I divert my attention to something I love, like my many house plants, music, and my dogs. Sometimes I get on my favorite clothing website (llbean.com) and pick something out that I plan on getting later. Of course, sitting down with a devotional book helps quiet the mind. May something wonderful be just over the horizon for you! Thank you for the great recipes! This is good options for anytime the kids are wanting something special.